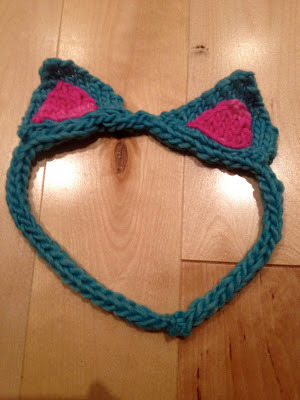 scarffaces: Acid Cat Ears Pattern! After posting this photo to instgram I had a lot of interest in these little ears!! Thank you all so much for your love and support!! Really makes me feel good about making silly things like cat ears. This pattern is actually VERY easy but it may LOOK difficult. If you're a beginner I think that you should still try it!!! There are some weird words but really all you need to know is the knit and purl stitch and you can learn the rest along the way :). For the full pattern click below! Knit2together (k2tog) - this is more straightforward, when you're at the end with 2 stitches left, instead of putting the needle through one stitch, put it through the remaining 2 and knit it off together as if it were one, this will decrease your row again. Continue rows until 3 stitches remain. Now all you have to do is cut a long tail and put that through the stitch and pull tight. That wasn't too difficult right?? Continue until you've made 2 large triangles and 2 small triangles. For the headband portion, I like using a french knitter because it's SO versatile! You can really use it for so many things!!! When I bought it I had no idea what I would use it for, and I actually didn't use it for a good 2 years, until I had a brilliant idea to use it in EVERYTHING!! well not everything, but I use it a lot now and I really love it. If you don't have one I REALLY recommend getting one! And I use it in this pattern so you should get it! Otherwise you can make an I Cord. Make a tube that measures approximately the size of your head. The yarn that I used here is a bit stretchy which I like because you can give it as a gift easily. If you're making this for someone else don't worry too much about their exact head size, head sizes don't differ greatly unless you're making it for a child in which case you should make it a bit smaller... You'd be surprised at how large children's heads are though. Once you're finished the tube you can assemble it all together! With your tapestry needle, sew the purl side of your inner ear to the knit side of your outer ear. 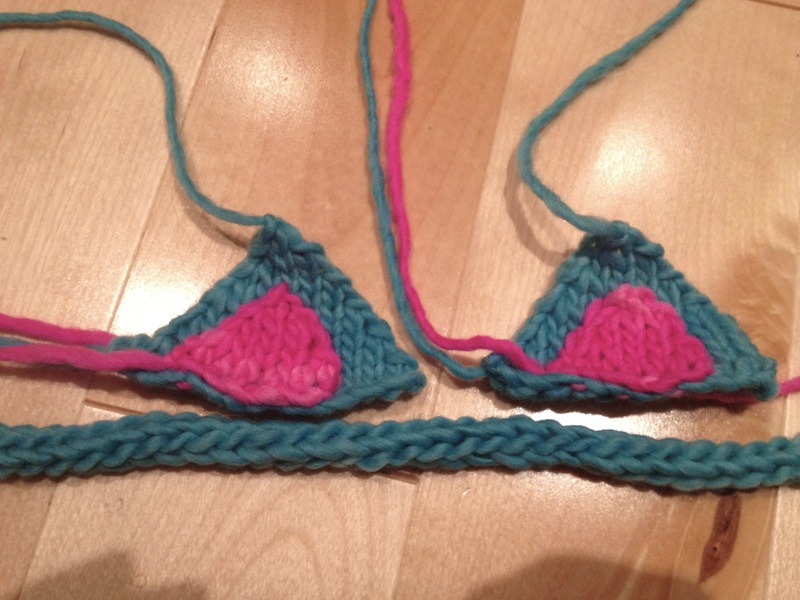 Once you've done this you can sew the bottom of the ears onto your headband tube! Leave only about a half inch between the two ears. Now sew the tube together. So cute!!! Did you add the pattern on the Ravelry database? It'll be my next project ;) Thanks for sharing! Yay so glad you like! and they look so great on you :) I didn't add it to Ravelry... but I added it to Kollabora. Maybe I will go add to Ravelry now! I didn't know Kollabora! Just had a look now, do you like it better? Is it new? did you put it there?? help my confusion!! ohh I see you did. Ok sorry Ravelry really confuses me and I clearly don't know how to use it properly! love it. I was just look for idea for ears.. this should help be get started. Gift Guides & Where to Buy!